(Macao, Nov. 3, 2017) – Autumn is the best time of the year to savour the rich, earthy aromas of truffles, and from Nov. 6 Sands Resorts Macao and Sands Macao are presenting an incredible variety of this wonderful delicacy at seven award-winning restaurants for guests and visitors to enjoy an array of dining sensations across four hotels. The Venetian® Macao, The Parisian Macao, Conrad Macao, Cotai Central and Sands Macao have created special menu promotions that will whet the taste buds of gourmands who enjoy dining on this exquisite delicacy. Book a table at one of the restaurants and find out why truffles are the most highly regarded food in the world. One of Macao’s finest Chinese restaurants, Canton is celebrating this culinary treasure from Nov. 6 to Dec. 3. Truffle lovers can expect a variety of delicious dishes including a Cantonese take on Boston lobster served with pomelo and white truffle and fried goose liver with caramelised apple and white truffle. Award-winning Italian restaurant Portofino is presenting an exclusive, limited-time white truffle menu from Nov. 6 to Dec. 3. Guests can enjoy the rare mushrooms all the way from Italy while seasonal stocks last, served with slow-cooked veal tenderloin, homemade pasta and Wagyu sirloin. The Parisian Macao’s outstanding French restaurant Brasserie is offering a menu with white truffles from Alba and black truffles from Burgundy from Nov. 13 to mid-Dec. Fans of the revered tubers can look forward to seared Hokkaido scallops with white Alba truffles and seafood flambé in Cognac and Dijon mustard cream sauce with black Burgundy truffles. Nov. 6 to Dec. 3 features a range of delicious à la carte dishes including braised bird’s nest and chicken topped with white truffles and deep-fried chicken skin stuffed with shrimp paste and white truffle topped with black caviar. Conrad Macao’s signature restaurant Dynasty 8 is the home of classic, authentic, high-end Chinese cuisine. The restaurant’s limited time à la carte white truffle menu is available from Nov. 6 to Dec. 3, and offers it added to dishes including steamed hand-cut Iberico pork with salted egg yolk, braised green lobster Mai Li rice with prawn stock and braised sea cucumber with Nepalese mountain grains in golden broth. One of the best restaurants in Macao serving Cantonese cuisine, Golden Court offers an exceptional dining experience with a huge array of fish and shellfish, and is serving a variety of authentic black and white truffle dishes from Nov. 6 to Dec. 3. These include tempting steamed Alaskan crab leg with milk-egg white and black truffle and stir-fried sliced pigeon with vegetables and black truffles. Frequently voted the best steakhouse in Hong Kong and Macao, Copa features an exclusive black and white truffle promotion from Nov. 6 to Dec. 3 including soft-scrambled organic eggs with shaved white truffles and seared USDA beef sirloin with truffle mousseline potatoes, périgueux sauce and black truffles. 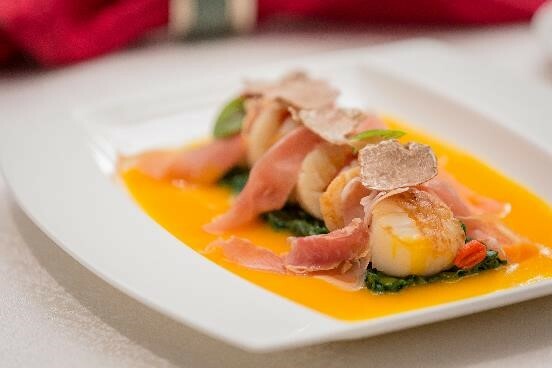 Photo caption: The Parisian Macao’s signature restaurant Lotus Palace is offering a truffle promotion menu with a range of delicious à la carte dishes. 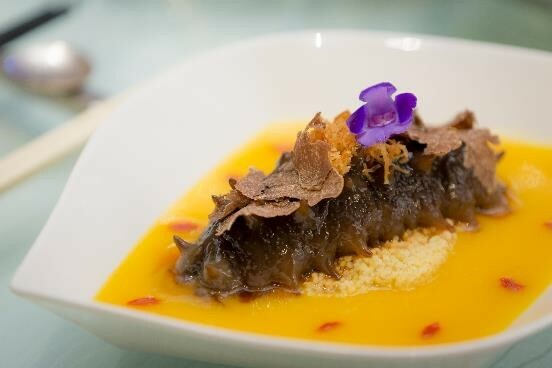 Photo caption: Dynasty 8 at Conrad Macao, Cotai Central features a limited time à la carte white truffle menu – grab your chance to enjoy the rare Italian mushrooms while seasonal stocks last! Comprised of The Venetian® Macao; The Plaza™ Macao, featuring the Four Seasons Hotel Macao; and Sands® Cotai Central, including the world’s largest Conrad, Sheraton, and St. Regis hotels as well as the Holiday Inn, Sands Resorts Macao is where Asia’s ultimate destination is within reach. And now the crowning achievement of Sheldon G. Adelson’s vision of the Cotai Strip – The Parisian Macao. For more information, please visit ParisianMacao.com. Opened in 2004, Sands® Macao is a world class hotel and entertainment complex with 289 luxury suites. Its stunning gold glass exterior houses a wide range of diversions including speciality restaurants, a heated outdoor swimming pool, deluxe spa and salon, conference and banquet facilities and unrivalled gaming excitement and live entertainment. It is also home to the Paiza Club: an invitation-only international VIP club with 51 premium suites with size, opulence and grandeur that rivals the best the world has to offer.